The Memorial holiday is always a little teaser for the soon-to-be summer, and we decided to break summer in early at Schlitterbahn Waterpark in New Braunfels. By this time in the school year I’m exhausted, as are all teachers and school staff, so I was in desperate need of a short getaway with the family. From San Antonio, Schlitterbahn in a quick 40 minute (or less) drive. We were there in no time. I’d been to Schlitterbahn once as a five year old kid and I have no recollection of it, so I wasn’t sure what to expect. Parking was free and there was plenty of it and upon entry into the park we realized that there was no way we’d be able to do it all in just one day. While Schlitterbahn has a free shuttle that will drive you to its other parks (located nearby), one day didn’t allow us to explore it all. We spent much of our afternoon in the Tadpole Kiddie Pool and Schatze’s Central Park. 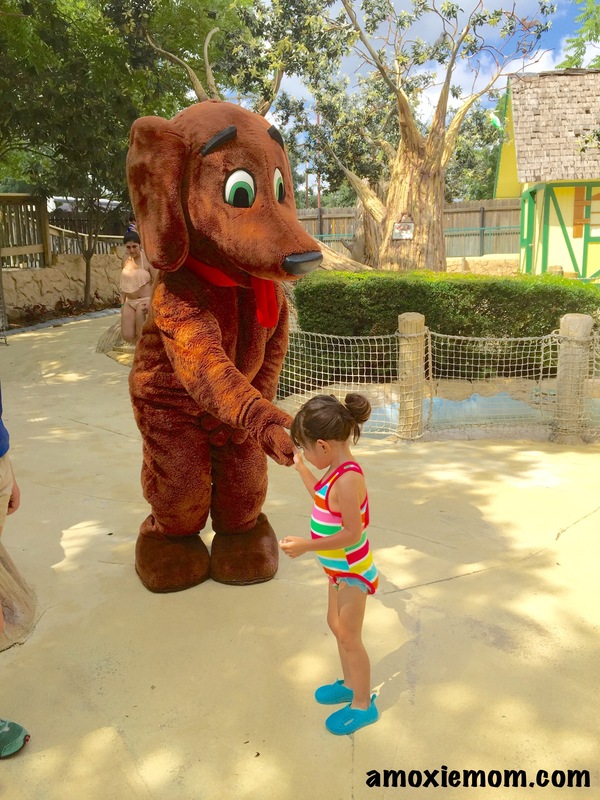 MJ loved the two areas that had lots to do for little ones, and she even met the park’s mascot. There were kiddie slides, wading pools, a splash pad, a car wash to run through, and so much more! Schlitterbahn has so many more tot areas that we weren’t able to visit them all. Xander and I enjoyed the Congo River Expedition the most. It’s a fun, lazy river that takes you on a ride through the Congo, and takes participates down a few drops. 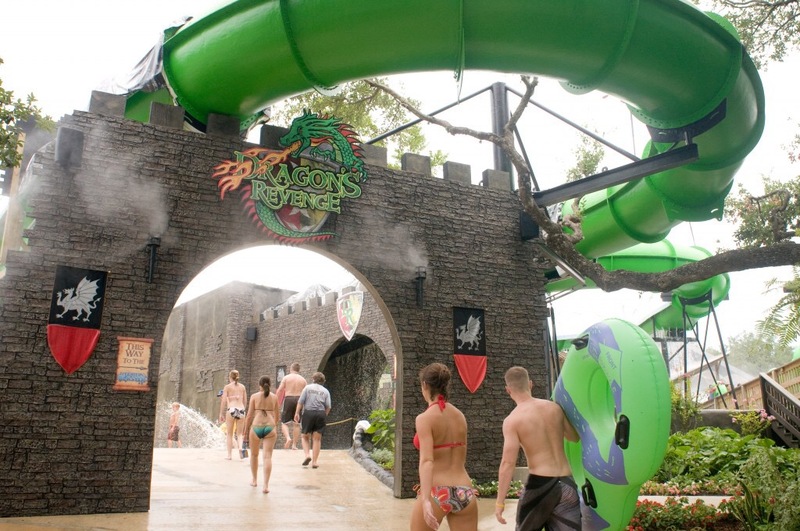 There was also a heated pool near the Congo that we enjoyed, as well as numerous other pools and water slides, including Dragon’sRevenger, for older kids and adults. Schlitterbahn saves your budget by offering free parking, free life jackets, and families can bring in an ice chest full of food! Food prices inside the park are reasonable and healthy options abound. 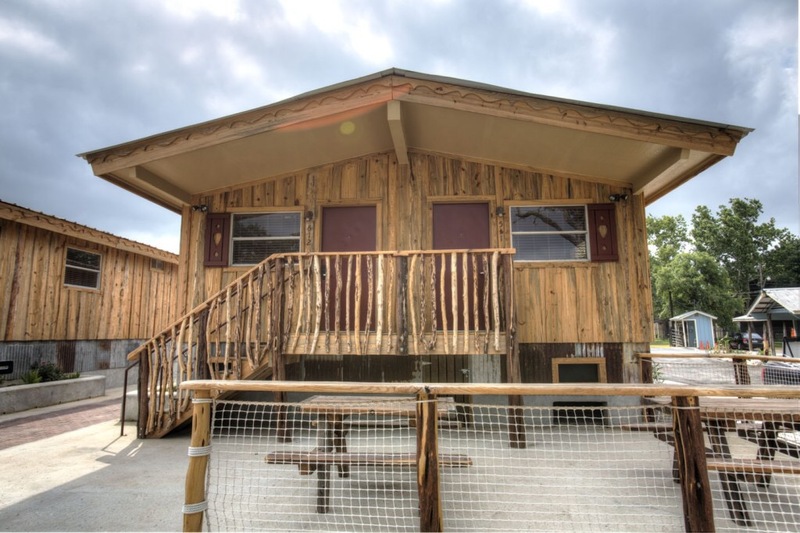 We’ll be returning to Schlitterbahn for another visit over the summer, and I’m eager to stay in one of the rooms at the park next time. *I recieved tickets to Schlitterbahn in exchange for this post. All opinions are honest and my own.